Valentine’s Day is the sweetest day of the year. This is the time when men and women clamor for unique gifts to give to their loved ones. But if you are tired of shopping for chocolates, perfumes, jewelry, and flowers, you can try other novel gifts. Love is in the air on the 14th of February. This certain day marks Valentine’s Day, a holiday that celebrates love. Its history is very dated and not quite clear, with several different stories explaining how the holiday came into existence. Nevertheless, Valentine’s Day has long been associated with love, especially romantic love, and expressing it on this day in a variety of ways. Items associated with Valentine’s Day include chocolates, balloons, flowers, cards, and other things that could be given as a gift to a loved one. One also has the option to give a unique gift for this special day: Valentine’s Day Season and Holiday Hats. Hats depicting hearts (the symbol of this celebration) or hats that are the color pink or red exhibit the love-related feelings surrounding this holiday. Wear a Valentine’s Day hat on a casual day date or keep your head warm with a Valentine’s Day beanie on a nighttime date on the 14th of February. Celebrate the season of love with Valentine’s Day hats. Valentine’s Day is one of the most widely celebrated event in the world. 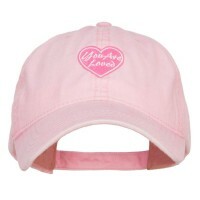 So, if you are still deciding which gifts to give to your loved ones, then why not opt for Valentine’s Day hats? So instead of the usual chocolates and flowers, give hats! One of the novel gifts that you can give are Valentine’s Day hats. Get couple hats and look extremely silly and funny during this day. Speaking of silly hats, there are many quirky hats that you can get for different seasons. One of the best examples of quirky holiday hats are Mardi Gras Hats, Christmas Hats, and Halloween Hats. Mardi Gras hats, in particular, are great because they can be worn on different occasions even on spur-of-the-moment parties. But if you are looking for holiday hats that have subtle designs, you can opt for Easter Hats and Thanksgiving Hats. They both look great but they still add fun highlight of your Easter parties and Thanksgiving dinner, respectively. The thing is that there are many designs of holiday hats that you can choose from so you can be assured that we have different hats for every holiday that you have in mind.